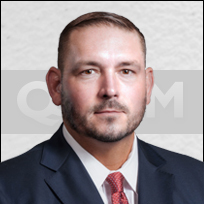 Successfully handled numerous matters ranging from personal injury to complex commercial disputes on behalf of both defendants and plaintiffs, in state, federal and bankruptcy courts in Texas and states throughout the United States. Diverse practice has led to success in representing clients at both trial and appeal, as well as in arbitrations and other forms of alternative dispute resolution. Mr. Pickelman advises clients in complex commercial litigation, in addition to the defense and prosecution of cases involving professional negligence, catastrophic injury, transportation, premises liability, construction, products liability and insurance, both coverage and bad faith on behalf of insurers and policyholders. Pierre v. Newman, Davenport & Epstein, P.C., 2006 WL 1522613 (Tex. App. – Dallas 2006, pet. denied).